Autorickshaw has been a major mobility option for the urban commute (especially shorter route) in metros as well as tier I cities. Despite government regulated meter-based fare system, three wheel drivers often find leeway and dictate their own fare structures. Solving the pain of exorbitant pricing, indigenous on-demand cab-hailing major Ola added autorickshaw in its native app. Besides cab, autorickshaw has been the most successful category for the SoftBank-backed company. While Uber tried the segment in early 2015, a year later it halted autorickshaw aggregation citing it as an experimental move. Realising the importance of three-wheel in urban commute, the Dara Khosrowshahi-led company had made a re-debut in the segment in January with operations in Pune and Bengaluru. Betting further on the segment, Uber is adding three wheel-hailing option to its app in Gurugram from this week. Entrackr has confirmed this with several autorickshaw drivers who are switching to Uber from Ola as the former is offering lucrative incentive structure in the Millenium city. “Since Uber has aggressively been onboarding auto rickshaws for past one week, it would likely to add the three wheel-hailing service in Gurugram by Wednesday,” says one of the autorickshaw unions comprised of app-based drivers in Gurugram. Like cabs, Uber AUTO will include all safety features available for its cab rides and will onboard pre-verified driver partners accredited by the authorities, confirm several drivers who joined Uber AUTO. 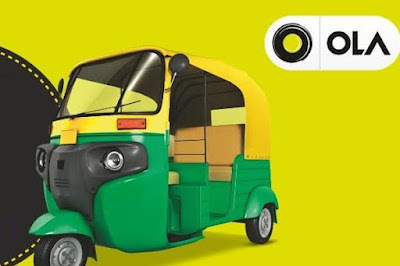 To poach existing fleet of auto-rickshaws on Ola, the San Francisco-based company is offering incentive up to Rs 5,500 on successful completion of 40 rides in a fortnight. Multiple drivers have confirmed the incentive structure to Entrackr. “Preliminary drive to bring three wheel service on Uber app is also ongoing in Noida and Delhi. However, Uber would start it from Gurugram,” adds the aforementioned union. Meanwhile, Ola has been operating Ola Auto for over three years. The company claims to have 1,20,000 auto rickshaws registered on its platform across 73 cities and had completed 2 million rides in 2017. While the number of rides happens through Ola Auto isn’t public, it seems to have picked up significantly. Users tend to prefer auto for a shorter distance over cab service. While the Uber mobile app is yet to get integrated with the AUTO option in Gurugram, the re-entry of Uber in auto vertical ensures a good time for users and drivers as it’s likely to engage in discounting and incentive battles with local competition Ola. Nevertheless, subsidised autorickshaw rides are just beginning for commuters in Gurugram.